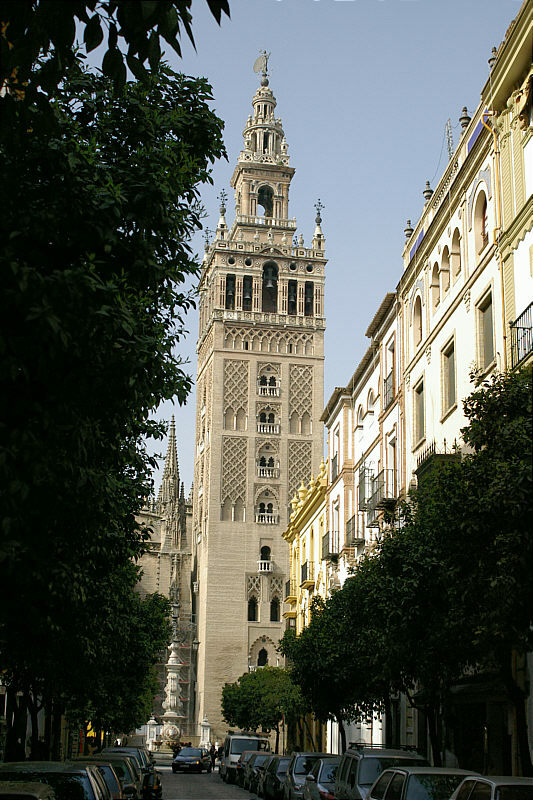 Photo: The Cathedral Tower with Giralda. Eastern Mojave Vegetation The Cathedral Tower with Giralda. We wandered our way through the barrio -- the former Jewish ghetto of Sevilla -- coming out once at the Cathedral because I wanted to take a photograph of the Giralda at the top of the Cathedral tower. When I gave my talk about "Outdoors in Southern Spain" at UC, someone spoke up and pointed out that the tower of the Ferry Building in San Francisco was modeled after the Giralda Tower in Sevilla. It was first the tower of the mosque in Sevilla, but now is the tower for the Cathedral.